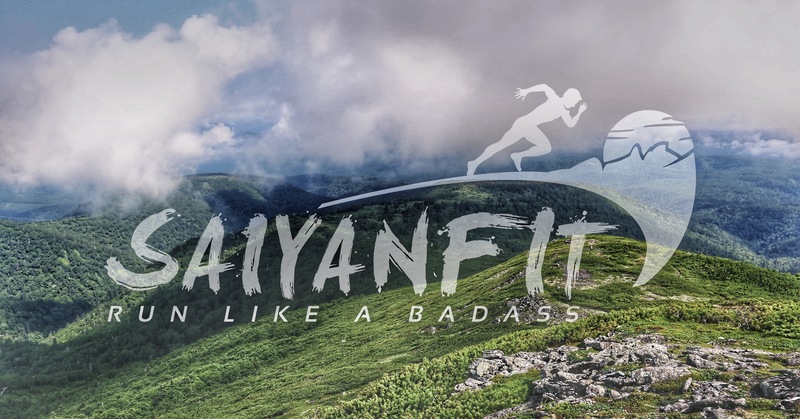 Yacine is one of the 14 members who was selected to participate in the Course du Coeur 2019, a 4 days and 4 nights multiple stage running event held in France where teams start from Paris and finish in Les Arcs, a city in the French Alps at 1800m altitude and located 750km away. Then on the actual act of organ donation, beyond the sport aspect, the main purpose of the event is to educate, sensitize and promote organ donation. Throughout the cities we will be stopping at, some shows will be performed in front of children. They would learn for example how one life can be saved by heart transplantation, that anyone can be a donor and so everyone has potentially the power to save someone else’s life. 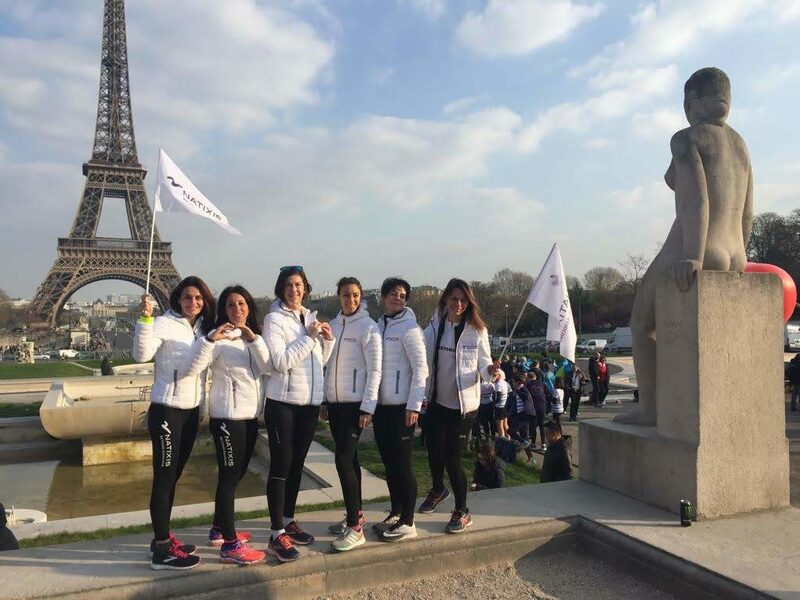 After the selection process, the team members in Paris would have regular group training sessions throughout the 5 five months leading to the race. On my side I had no plan to train specifically for it as I had estimated my base shape would suffice. My A-race at that time was Tokyo Marathon 2019 (March 3rd, 2019). I had secured a semi-elite entry by running a 2:42 marathon last year so I was determined to beat that time. Unfortunately, things sometimes often don’t go according to plan. My 2018 year of running was extremely dense in terms of races (2 marathons back to back, a 71km ultra marathon where I finished 4th overall, and three 100km mountain races from June to November 2018). I ran over 5000km last year and by mid-December, my body said stop. I had an over-training syndrome and my legs just shut down with multiple small injuries for the next three months where I could barely run one third of what I usually do each week. By mid-March, I was starting to see a light of hope when the overall soreness on my legs were starting to slowly fade away. We had a debrief session where we were presented a detail schedule of the 4 days and nights to come. The team is split into 4 cars: A, B, C and J. An extra camping car would follow us to allow night runners to rest. Each members of a car would spend most of the event together, a sort of four-days-mini-family. We then had a brief description of each of the different type of event we would go through. At any time during the entire event, one event was taking place, which means that at anytime, at least one of us would be out there running. I then realized that it was not simply going to be running at 5min/km for 4 days…. My teammates were from all kind of departments within the firm, diversity was clearly represented: gender, nationality, job, age, athletic background. It was a good melting pot. 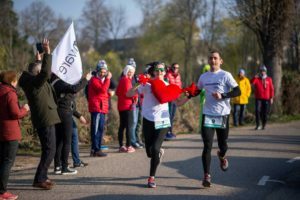 However, within only a few minutes, those differences were forgotten as we were unified towards the same goal: how to get to the finish line together, as a team, the Beyonder team. I soon met my two car-mates, Stephane who just flew from New York and Nicolas our driver. It was easy to approach Stephane. As soon as he entered the room, he interacted with everyone as if he knew them for ages, me included. He was wearing a shark shaped hat, “assaulting” like a predator everyone with… a hug. Nicolas was wearing sunglasses (the room was not so bright) and a long blond hair wig. I knew at that moment that conversations with those guys in the car would be epic. We then had lunch, drove our way to the starting point near the Eiffel tower where we met the 25 other teams, took some lots of pictures and got prepared for the start. 9 of us would run the 8km prologue run as an introductory run while the rest would get prepared for their night event. The cars A, B, C would all have at least one sleepless night. The J car was the only exception to this rule, and I was happy to know that I would have at least 3 to 5 hours of sleep each night. The car J had one more advantage that no other cars had: we had a disco ball shining whenever the engine was on, an idea for the American man. Laetitia R from car B would start the festivities with a 11km roller ride. 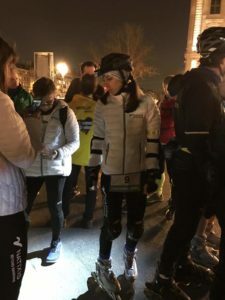 Then a tough night awaited the car A where each member, Elizabeth, Nathalie G, captain Benoit, Yacine would take turn to run 14, 15, 24, 22km respectively. Then Sam from the car C would run 23km, joined by Lynda for the last 10km. Needless to say that it was probably a tough first night. 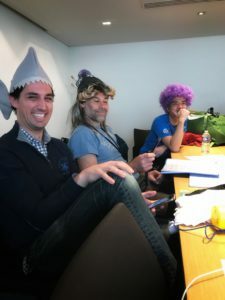 Meanwhile Nicolas, Stephane (still wearing his shark hat) and I were heading to the hotel where would spend our longest night of the trip, 5 hours or so. Stephane was set to run at 11:20 AM along with Helder (coming from Portugal) from car C, a 9km pair run: two members of each team start and must finish together. I was scheduled to do a pair run with Alex (also from Portugal) from car B at 1PM but for 16km. 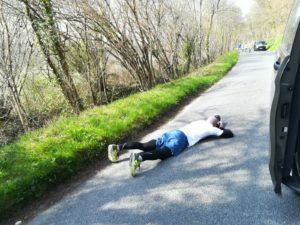 As I walked towards the start line, I had a quick chat with Yacine who was peacefully lying on a bench, tired from his 22km run he did in the middle of the night. I could not help but feeling happy for myself that I was sleeping while he was running. Alex and I lined up in the middle of the pack, as the mayor set the start, we took off and placed rapidly in the top 3 tandem. I naturally set a comfortable pace of ~4:40. Unfortunately it was probably a notch too fast for Alex as his breathing sounded too heavy to me. We then slowed down and were quickly caught up by 2 tandems within the first 3km. We were running on a paved road through the French countryside with endless fields on each side of us. Each tandem was assisted by a car of their own team. For us it was car B with captain Eric driving and Laetitia R, Laetitia C and Richard and Fabrice the two photographers. It was a great moment of fun as Richard was jumping in and out of the car and running around to take pictures of us, while Eric was cheering on us through a megaphone. The only small detail not foreseen was the fact that Alex was running barefoot and seemed to go through a great deal of pain. Despite asking a few times whether he wanted his shoes back, he insisted not to. We finished the race somewhere in the middle of the pack at around 5:20~5:30 average pace. Back to car J, Nicolas concluded that roads in Portugal must be in a better shape than in France overall. We then had some time to chill out as the next event was schedule in a couple of hours. It was a Stephane’s turn to hit the road. This time it was a bike (19km) and run (8km). Nicolas and I drove by his side or behind him to cheer on him. Having spent the last 14 years outside of France and the last 10 years in Japan, I have to admit that it took me some time to re-adapt to French humour, particularly Nicolas’s, where he seemed to excel whenever it comes to sarcasm. While Stephane was huffing and puffing on the bike and on the run, Nicolas and I were throwing bad jokes at his face (for the better or worse). As he didn’t seem to be bothered we kept on going. He eventually finished somewhere in the middle, we’ll never know whether our sense of humour helped him or not. I had done several relays in Japan, called Ekiden, where each runner run from one train station to another to pass a Tasuki (a sash). But the shortest distance per leg were never shorter than 2km. I had never done any running event where you feel like you are chased by a lion or you are chasing your next prey, or both for that matter. Nicolas looked at me and said “Harrisson, this is why you are here today, it is for that race. You will not find this kind of thing anywhere else in the world, it’s a doozy”. I was not sure to what extent I should believe him as this guy always seem to half joke every time he opens his mouth. It wasn’t my turn to run that evening, I was just the co-pilot of Nicolas. My turn would come the day after. The MDC is simple: it is a 4 legs relay race over 26km. There is a twist: the driver decides the length of each leg! Now that might not sound like a big deal, but in actuality, it is a huge deal. 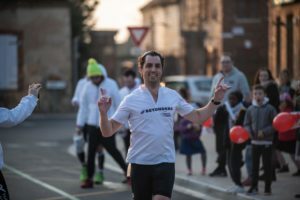 Natixis strategy has always been to go by super short distances (between 60m and 150m), which means the acceleration and deceleration of the car would have to be brutal in order to follow the runners and insure the passing of the relay baton as smoothly as possible. In other words, it was not a marathon: it was a sprint from start to end! As the race started 1 hour before sunset, we ran through the twilight to the night, like fast and furious animals, in a frenetic fashion. To me, most of the merit goes to Nicolas. I believe more than half of the overall speed and performance of the team lies on his shoulders, but most importantly, the safety of everyone. It is an enormous responsibility that he held in a brilliant manner and with style. His judgement of the distance for each runner, the way he passed the other cars and runners (while throwing jokes at the same time), keeping control and calm during the entire race, never loosing focus, and caring us to the finish line makes him a hero to my eyes, he was our Vin Diesel. Members of the car C were planned to race (inside of car J): Sam, Helder, Lynda (from the US) and Nathalie V. The start went smoothly, as soon as Helder who started as the first leg was in our sight, Nicolas turned the engine on and we immediately took off. It was one of the craziest and intense race I have experienced as an active spectator. As the distance was approximately 100m for each, that leaves about 50~60s to recover between each bout. Each of them ran very hard, and each transition went smoothly. We passed probably half a dozen of teams along the way. I don’t know what our final ranking was but that didn’t really matter as the two main objectives were accomplished: they all gave out their best and we all had lots of fun. I recall Nathalie to be very stressed and anxious before the race started. She probably feared to get injured, to disappoint the team and other random fears that goes through your mind before an important event; where it is not only about yourself but about an entire team. She did not disappoint in any regards. As soon she received the baton for the first time, she flew like a lightning arrow, gracefully up and down the hilly course. A few minutes later into the race, she yelled “let’s catch them all !!”. Within minutes, she went from a fearful bird to an enraged lion, she went beyond herself. I was happy to witness this transformation with my own eyes. And just like that we carried out our flame from start to finish. After the hugs post finish, Nicolas asked me “it’s your turn tomorrow! Are you excited?” “Not really” I replied. I was concerned about my left hamstring that felt tight and sore. Sprints are not hamstring’s friends.